Dr. Richard J. Zaino received his BA degree from College of the Holy Cross, Worcester, MA, and his MD degree from Duke University School of Medicine and took his residency training in Anatomic and Clinical Pathology at Duke University Medical Center. 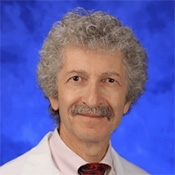 He is Professor of Pathology, Chief of Anatomic Pathology and Head of the Section on Gynecological Pathology at Penn State University College of Medicine, the Milton S. Hershey Medical Center in Hershey, Pennsylvania. Dr. Zaino serves on the editorial boards of the American Journal of Surgical Pathology and the International Journal of Gynecological Pathology. He is the author of numerous chapters on various subjects in Gynecologic Pathology and is the author of the pathology text, Interpretation of Endometrial Biopsies and Curettings.